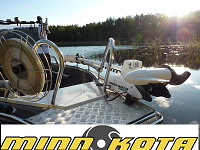 Book Your Lake Saimaa Sport Fishing Holiday and Cottage Accommodation in Finland for the Year 2019! Our holiday week includes accomodation, linens, towels and departure cleaning for max. 6 persons. 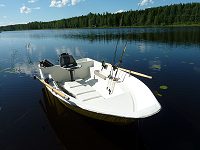 You can also also include a guided fishing trip on Lake Saimaa for your holiday. For families we recommend our combined fishing and boating trip with a relaxing picnic lunch on a small island. 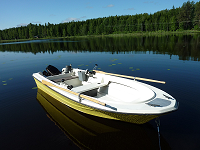 For independent fishing our cottage customers can use our three fibreglass boats with small motors (4 - 8 hp Mercury) and an assortment of fishing equipment – completely free of rent! Ask an offer for price. Ice cover usually begins to form in the beginning of December on the shallow parts of Lake Saimaa, but the best ice fishing times on the whole Lake Saimaa area start in mid-December. 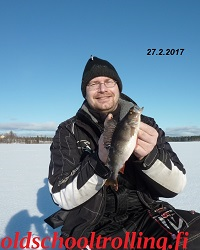 The early season until the end of January is very good for active and tip-up ice fishing of pike and perch. 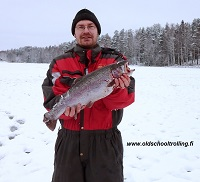 The ice fishing season of rainbow trout starts in the beginning of January and ends in mid-April. From mid-January to the end of February we do ice fishing for burbot. Spring fishing from the beginning of March to mid-April it is the best season for ice fishing of pike, perch, roach, bream, whitefish and zander on Lake Saimaa. Read article: Ismete bait fishing is an effective method for catching wintertime pikes on Lake Saimaa! Water areas near our fishing cottage are free from ice usually around the 1st of May. The waters right in front of our cottage are only max. 2,5 metres deep. This means that the waters warm up quite fast in spring, which attracts small fish to do their eating and spawning there in May, which in its turn attracts bigger carnivorous fish to turn up and eat the small fish. The most effective methods for catching fish in the beginning of May are spinning, worm angling and fresh bait angling. Here you can read fishing reports of our visitors from May 2014 - 2016! 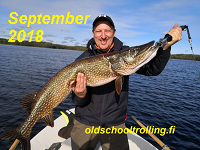 I have been fishing for over 30 years on these waters and I have learned that the period from the beginning of June to Midsummer is very good for big pike fishing near our fishing cottage. This is due to the coldness of the waters and the end of spawning period, which makes big pikes hungry and ready for catching. There are also plenty of smaller pikes hunting in shallow water, which makes fishing very active with lots of biting and actual catches. Here you can read fishing reports of our visitors from June 2012 - 2016! The last week of June and the first two weeks of July are good for catching zander near our fishing cottage. 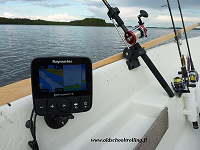 After mid-July zanders will start to move towards the streaming water areas in the distance of 5 - 6 km from our cottage and also to the big lakes of the Great Saimaa lake system, such as Paasselka, Orivesi, Savonselka and so on. Big pikes do the same and both zanders and pikes will be more often caught from the deeper areas or bank slopes of the big lakes of Saimaa in the daytime. 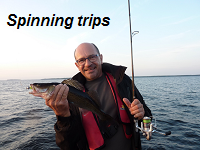 Here you can read fishing reports of our visitors from July 2014 - 2015! In Finland July and August are the best months for fishing on Lake Saimaa due to warm waters and often very warm or even hot weathers. There are plenty of fish about and you can fish around the clock if you wish, thanks to our light summer nights. Big perches normally move to the shallow waters in mid-July and they can be caught there in the daytime during a period of a couple of weeks. If you do late evening / early morning or night time fishing near our cottage, you will be able to catch zanders and pikes from the shallow waters as well. The best season for night-time fishing on Lake Saimaa continues from Midsummer until the end of August. Here you can read fishing reports of our visitors from August 2016! The weather is still warm in late August and early September, making it great for picking berries and mushrooms near our cottage as well as fishing for perch and pike. The beginning of the season of fall colours, from mid-September to the beginning of October, is excellent for catching big pikes close to our fishing cottage. The season of fall colours will last until mid-October. From the beginning of October bigger perches start forming flocks in the deeper water areas of Lake Saimaa. Bigger pikes are also moving to deeper water areas to hunt vendace, which have their spawning season from mid-October to mid-November. 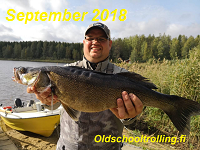 Here you can read fishing reports of our visitors from September 2016 - 2018! Here you can read fishing reports of our visitors from October 2014 - 2016! Find our accommodation prices and booking calendar! You can find our accommodation prices & booking calendar 2019 of our cottage here. 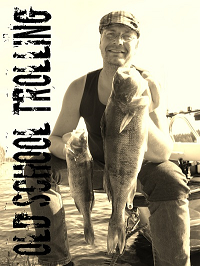 Here you can read more fishing reports of our visitors! Here you can read fishing reports of our visitors from the year 2018! Selective fishing methods we do recommend for our visitors are either species- or size-selective. • Release the fish that are either small or big. The big predators are important for reproduction of the fish. The small predators have not been able to reach their growth potential yet. • Only keep the amount of fish you need for cooking a dinner while your stay. It is also absolutely acceptable to take some fish to your home country with you. • Avoid fishing for endangered species. • When you arrive our fishing cottage Jari will help you by giving more information of all these details as well as existing law. 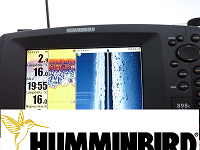 We know that the rules for fishing in different countries are different and we are willing to help with these issues. If possible, release the fish by using pliers while the fish is still outside the boat, near the surface of the water. If you are planning to take a picture or measurements of the fish, lift it into a container filled with fresh water. Remove the hook using pliers while the fish is in the container of water. Wet your hands or use wet gloves when touching the fish. Never hang the fish from its tail or head, as this can cause internal injuries or stretch the spine. 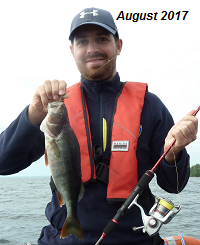 Hold the fish horizontally and take the photograph quickly to minimise the time the fish is out of the water. If you wish to weigh a fish that will be released, use a weighing bag. You can also weigh a fish while it is in a net made of rubber-coated knotless netting. Release the fish back into the water gently. An exhausted fish may need to be resuscitated before release. Resuscitate the fish by holding it against the stream or by moving it back and forth in the water to make water flow through the gills. When the fish is ready to swim on its own, you may release it. People aged 18 to 64 must pay the state fisheries management fee, that entitles angler to fish with one rod and lure with the exception of river and rapids sites and other special fishing sites. Fisheries management fee for the year 2019 is 45 euros for a calendar year, 15 euros for the seven-day period and 6 euros for 24 hours.